At American Paving Design, it never gets old seeing a worn and faded pool deck transformation! AFTER: Finally, an outdoor pool deck as beautiful as her view! This what her stamped concrete pool deck looked like after a few years of severe weather and lots of swimming! If you remember from our last post, this client called American Paving Design to help turn her dated pool deck into a place to entertain family and friends for years to come. Her old pool deck had some major issues, including poor drainage, uneven surfaces, and unsightly cracks. When deciding to update and remodel her backyard pool deck, our client wanted to make sure that the installation would withstand both weather and daily use! Brick pavers are known for versatility in both design and maintenance. 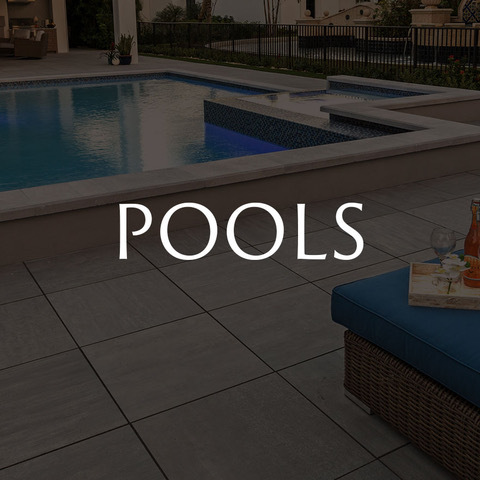 With simple repair techniques, choosing brick pavers for your pool deck remodel makes it easier to protect and preserve if maintenances are needed. Our client settled on Tremron's Sand Dune 4x8 brick paver. With her traditional Lowcountry style home, the client and our design team chose a paver that would look beautiful with both the home and the backdrop. We picked a very neutral color and paver style. She chose a 4x8 brick paver from Tremron in Sand Dune. This natural color scheme was a great asset to her home’s palette. Our team was able to use this awesome brick color for both the pool deck coping and surface installation; the dynamics of this design makes all the difference. It's safe to say that the before and after pictures show an AMAZING transformation! We were able to solve all of the issues she had surrounding her old pool deck, and we insured her new deck would be secure, safe and useable! For years to come, this new backyard oasis will provide family, friends and tons of laughter! Take a look at the pool deck now! AFTER: It all came together beautifully! We are so happy to create works of art for our clients.